We have a very special contest for our UK Readers! To mark the release on November 8th of Yash Raj Films’ Thugs of Hindostan, starring Amitabh Bachchan, Aamir Khan, Katrina Kaif and Fatima Sana Shaikh, we have some really cool merchandise for you to win! 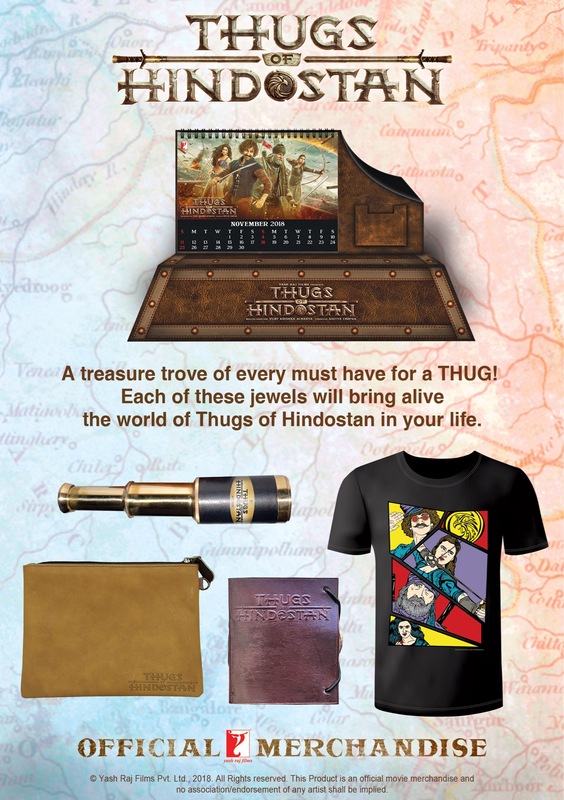 It includes you very own Thugs of Hindostan T-shirt and other epic swag. Now, Thugs of Hindostan is set in 1795 India. The East India Company came as traders but now rule India. Some like Azaad (Amitabh Bachchan) choose a life of a rebel and face certain death if captured, rather than bow to a life of slavery. When Firangi is enlisted to deliver Azaad in to the jaws of death by John Clive (Llyod Owne) for the Company, Firangi sets out to pull off the biggest Thugee (In translation:Con) of his life, facing his most worthy adversary yet. Mounted on a massive scale, Thugs of Hindostan is set in the early days of The British Raj and brings together two iconic Indian superstars for the first time on the silver screen. 1. Who are the two iconic Indian superstars that star in the film? 2. Why are you excited to see this film? Email your answers along with your name and address to editors@bollyspice.com! Open only to the UK. 16 queries in 1.392 seconds.